Are you seriously going out wearing wrinkled clothes? 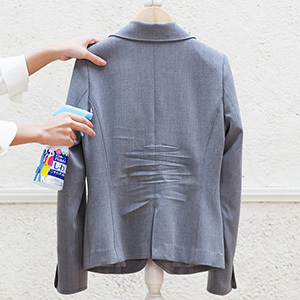 Clothes Wrinkle Deodorant Spray is an easy-to-use wrinkle spray that reduces wrinkles and helps keep your clothes looking neat without the hassle of ironing. It provides antibacterial and deodorizing effects that are better than a fiber deodorant. It removes wrinkles as well as your worries about odor! 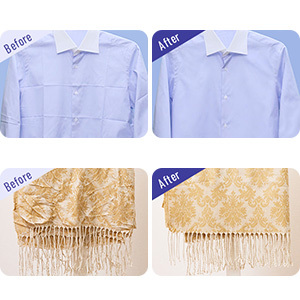 Hang the wrinkled clothes on a hanger. Spray 2-3 times about 30 cm away from the clothes to get it a little wet. Straighten the structured line or wrinkled area and dry it.